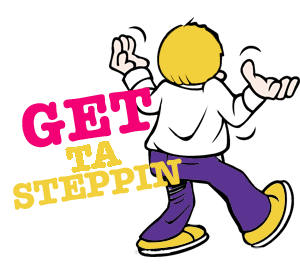 GET TA STEPPIN is a hilarious elimination team ice breaker that features two teams of three or more people, and the object of the game is to remove someone from the game after every trivia question. Various questions will be asked during this traveling game show, like, Name That Hit TV Show, Name That Hit Song or Who That Is and more! Questions can come from our enormous trivia library, or we can create a custom-tailored show for your corporate team building event with questions and answers based around your organization or conference theme. 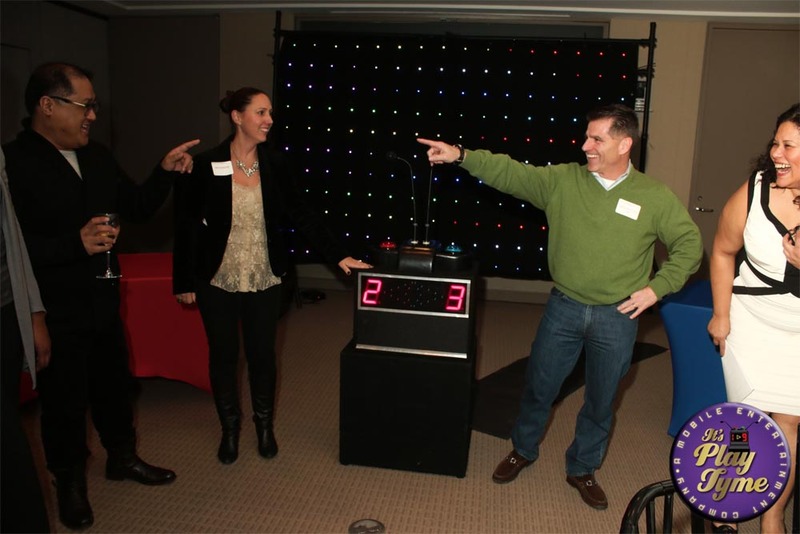 This is an “All Play” type game where the host asks a variety of trivia questions, and the contestant who can hit the over-sized buzzer and give the correct answer the fastest will have the opportunity to eliminate someone from the opposing team. If the person that hits the buzzer gives an incorrect answer, they are immediately eliminated from the game. You must remember that every question requires one person to be eliminated. Usually we play “Battle of the Sexes” round with this type of game show, by splitting the group into two teams, where the men face-off against the women. There will only be one winner when it is all said and done. Contact us today to learn more about our team building games and activities.